I can't get enough of the gingham print right now and have about five new pieces of this print hanging in my closest. This dress fits super cute and is perfect to wear for the summer weather. 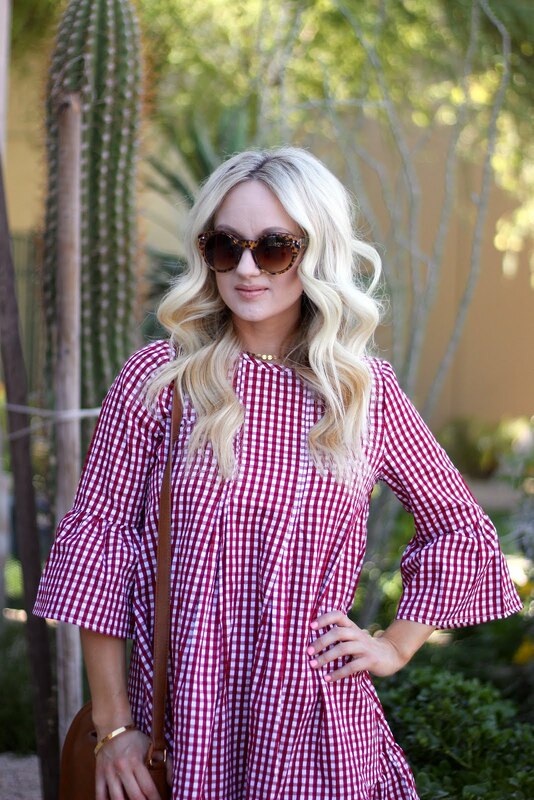 The bell sleeves and ruffle hem are my favorite! Typical right! You can pair it with wedges or even sandals for a day running errands. And the best part it is $22 with FREE SHIPPING!